Born in Dijon in 1683, he spent the first 40 years of his life in the relative obscurity of the provinces. He made a short but important trip to Milan, and was for a time a violinist in the Lyons Opera. He held organ posts in Avignon, Clermont (1715-22) and Dijon and visited Paris from 1706 until 1709 - during which time he held two organ posts, was offered a third, and published his first book of harpsichord pieces. About 1713 he moved to Lyons, where he contributed grands motets to the Lyons Concert (1714). In 1722 he settled permanently in Paris. With the publication that year of his Traité de l'harmonie he gained the immediate attention and respect of Parisian musicians. But while his music - harpsichord pieces, cantatas and music for the theaters - was also much admired, he was unable to win an organ post in Paris. He took on pupils, among them the talented Marie-Louise Mangeot, who became his wife in 1726. Following the appearance of his third book of harpsichord pieces, which like his second (1724) was largely devoted to pièces de caractère, he published his Observations sur la methode d'accompagnement pour le clavecin in the Mercure de France (February 1730), drawing upon his own brilliant technique of improvising on a figured bass. In 1727 he competed unsuccessfully with Daquin for the organ post at St Paul, bringing to a close his career as a church organist. By then he had published his second and more controversial harmony treatise, Nouveau système de musique théorique (1726), which led to disputatious exchanges with Monteclair in the pages of the Mercure de France (1729-30). Rameau was to be embroiled for the rest of his life in controversies concerning his music and writings. His early operas, of which the first was produced in his 50th year, provoked a lengthy dispute between the old guard Lullistes and the forward-looking Ramistes. Hippolyte et Aricie (1733) was a stunning success, exciting strong passions because of the emphasis placed on music rather than plot. He was to write a further large number of successful musical dramas. During this period Rameau found a pleasant haven at the home of the financier La Poupliniere, whom he served as maitre de musique from about 1735 until 1753. Rameau and his family lodged at his various residences and belonged to the stimulating circle of writers, artists and musicians gathered around La Poupliniere. The rich musical resources - singers, players and dancers - of Paris were augmented by virtuoso clarinettists and horn players brought in from Germany and Bohemia, providing Rameau with a private forum. It was for this circle that the virtuoso Pièces de clavecin en concerts (1741) were composed. 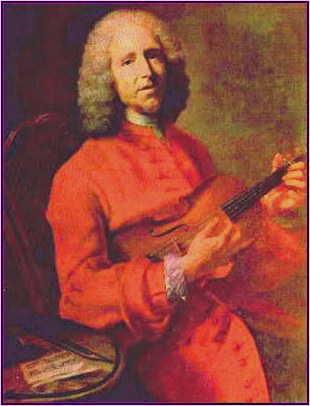 Rameau gained an important foothold at the Royal Court during the 1740s. He became compositeur de la musique de la chambre du roy in 1745 and composed a comedie-ballet, La princesse de Navarre (with Voltaire), and Platée for the celebrations of the dauphin's wedding. In 1748 Rameau and Voltaire produced Les surprises de l'amour for the Théâtre des Petits-Cabinets of Mme de Pompadour. By now, his place at Versailles secure, his works well received in Paris and in the provinces, his theories acclaimed by learned societies, Rameau had reached the height of his career. 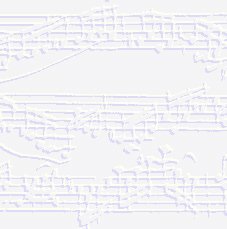 From 1752 until his death in 1764 Rameau composed less music and wrote more theoretical treatises. He corresponded with Mattheson and Martini and strongly influenced Tartini, Marpurg and Helmholtz. His theories of harmony still form the basis of the modern study of tonal harmony. At his death in 1764, over 1500 people attended Rameau's memorial service in Paris, held at the Pères de l'Oratoire, with one hundred and eighty musicians from the Opéra and the Musiques de Cour performing pieces from his operas. A number of other memorial services were also held in Paris and in the provinces.